Synopsis : This is the story of two step brothers Aaftab (Ajay Devgn) and Dhananjay (Saif Ali Khan) who detest each other. Aaftab is a petty smuggler whilst the suave Dhananjay is a corporate yuppie from the city, with a high-flying lifestyle. Aaftab is in love with Rukshana (Manisha Koirala), but is rejected by her family because he is illegitimate child. Dhananjay is dating Ragini (Namrata Shirodkar) and has his father's death to contend with. Aaftab blows up a loaded truck while trying to steal from it and attracts a mass of unwanted enforcers. 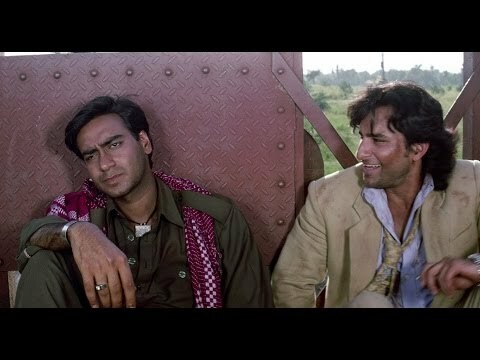 Soon, Aaftab is forced to send Dhananjay into a trap, but ends up with them both being handcuffed and escaping from the Border Security Force, the Central Bureau of Investigation, and the border mafia who are attempting to incriminate the brothers for anti-national activities and a murder. Will they be able to prove their innocence or get away with framing against another?